I recently wanted to see which parts of my app were using the most memory in a PHP script. I’ve been using Xdebug and webgrind on MAMP on my local machine and loving it. Derick Rethans wrote a post a few years ago about how to use Xdebug to profile memory usage and it was fairly easy to get it working. 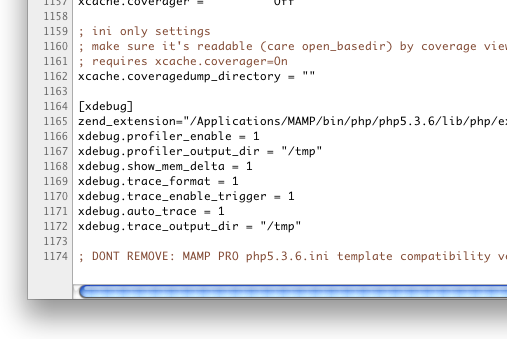 Setup Xdebug on your Mac on MAMP. Download Derick’s parsing script to parse out memory usage from .xt trace files. I downloaded the script to my home directory to keep it simple.